The story... . HD Wallpaper and background images in the the lion king club tagged: disney the lion king lion simba king lion king. The books people, the books!!! KOPA AND VITANI MY FAVORITE!!! 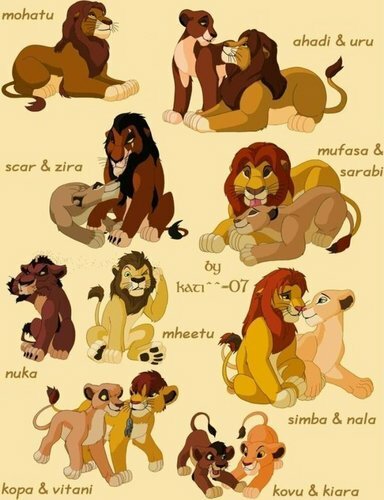 Zira and Scar? U sure? Mohatu, Ahadi, Uru & Kopa are from the books that are not written by Disney. The rest are from the film, Mheetu was supposed to be in the film but he was cut off.